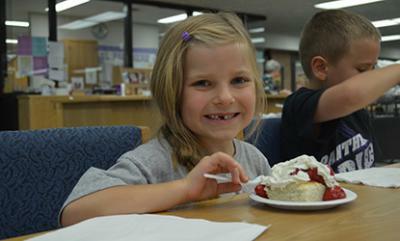 The first “community in the schools” luncheon at Glencoe-Silver Lake schools was held Friday afternoon. Representatives from local businesses and organizations in the community have the chance to interact with students and learn about the latest news at GSL. Ava Koenen enjoyed strawberry shortcake.